In August I attempt to slow down a bit, so no classes or client work this month. Although I and my team are still doing some prep for the season ahead (thanks Pat, Theresa, Elizabeth and Jessica, I could not live this unique existence without you and your capable skills!). 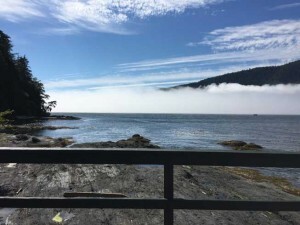 I was able to slip in a drive up to Port Renfrew, on the western tip of Vancouver Island where I'm based. Beautiful territory with provincial parks all along the way. Also introduced a new-to-Victoria friend to one of my local favorite spots, Glen Rosa Farm, out in Metchosin where I spent my teenage years. The couple who own the farm have turned it into an organic field-to-table type restaurant. Lovely view of the rolling valley and great, clean, fresh food. Good combo for those who want a little trip in the countryside outside of Victoria. To go with the slower theme of this issue, I thought I would write about my ongoing kundalini process and some of the things I have been drawn to by way of assistance. It's a challenging process however I've been learning and changing a lot as a result of this powerful energy flowing through me. Thought I would share in particular about some interesting authors that have shown up on my radar. See article below for a preview of three - might be of interest to some of you! Have a lovely summer (for those of you in the Northern hemisphere like me). See you in a few weeks. "When I originally found Christina I was looking for training in her visual communication style. I couldn't escape the 'feeling' that she was just what I was looking for. And if there is one thing I've learned in life, it's to never ignore that 'feeling'. 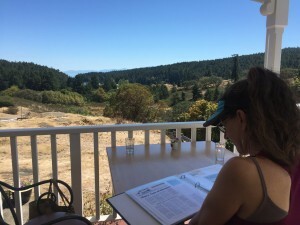 Participating in her Fundamentals of Working Visually course changed my life in many positive ways. Getting to know Christina further through her SHIFT-IT System and Business Essentials for Process Professionals opened my eyes even further into her wonderful spirit and her thoughtful and helpful processes. So, when she created her new Practical Energy Work course my reaction was "Yes! This is perfect!" and I registered right away. 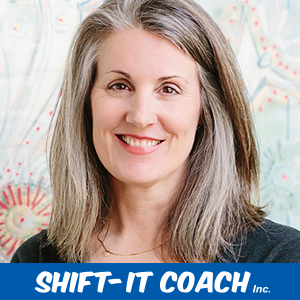 She has shared bits and pieces of the right-brain terrain through her newsletters however this course offers a deep dive into the topic overall and how it is of good use in our personal and professional lives. Energy Work is expanding into more conventional circles. Having an interest already, I must say, once again, she and my cohort mates delighted me with the expanse of knowledge, curiosity, tools and genuine openness to questions and sharing. I wasn't really surprised because I just 'knew' it would be that way. If you're wondering what that means, join the course if you're drawn to it but don't completely know why. You will learn about and reinforce your own right-brain gifts and be delighted with the international like-hearted group." Our modern world still operates on a left brain bias: analytical, mental and rational ... with serious consequences for individuals, groups and our planet-at-large. However our right brain is always there, albeit often underused and even denigrated. Learning to be 'whole brained' is a powerful advantage in life and work. Join me for this NEW online class to harness your right brain resources: emotions, subtle energy and intuition. Practical tools on energy management, law of attraction, trauma, brain wave mastery, problem-solving, etc. Guest experts. Plus community with other participants from across the globe. Are you a grad of one of my Visual Skills programs? If so, you qualify for access to our WORKING VISUALLY eCOMMUNITY for ongoing support. This community includes online forum filled with various topics related to working visually (media, announcements, skill development, technology, business development, inner work, etc.). Plus a monthly drop-in webinar and recording library. Dates for upcoming webinars: Sept. 12, Oct. 20, Nov 17 and Dec. 15. Webinar time is 11-12:30 Pacific, fully recorded. Can't travel? Want your info fast? 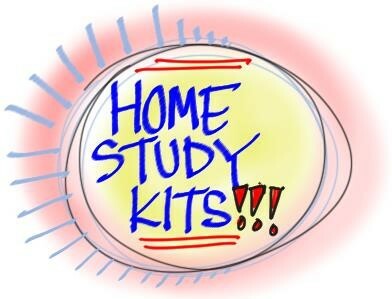 Now you can access my quality instruction via three Home Study Kits. Choose from Fundamentals of Working Visually, SHIFT-IT Home Retreat Kit and Business Essentials for Process Professionals. 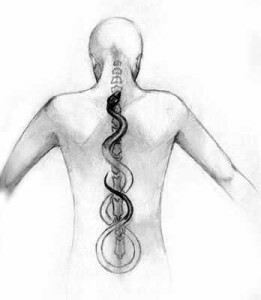 A few years ago my kundalini energy awoke (if you aren't sure what kundalini is or you would like to read my awakening story click here). Some people's kundalini awakening is an instant process. Other people have a slower more extended process. I'm the latter. After an initial powerful burst of energy over two days back in 2011, I now get what I can only describe as waves. The kundalini activity is always there in the background ... usually softly and subtly present. 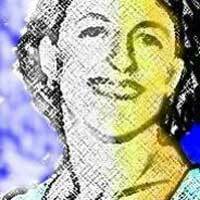 I can activate it more prominently if I want to; through meditation, bodywork and sound therapies. And occasionally it activates on its own accord too. I've learned to accept that it's working its way through whatever physical, mental or emotional aspects in my system that it wants to. Early on kundalini's focus was on my heart and throat regions. For the last year or so kundalini's focus has been in the middle region of my head, including teeth, jaws, ears and the inside glands in that region (pituitary, pineal, others?). For those who are aware of the body's energy centers called chakras, these regions are respectively the 4th, 5th and 6th chakras. 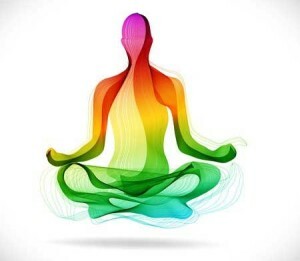 Lately I've been witnessing how the kundalini energy is working on many of my mental and emotional concepts. As a recovering business and strategic planning consultant, it has its work cut out for it, haha. I am still decidedly left-brained in a lot of what I do. Apparently kundalini wants to soften this. Mellow me out so I don't effort, grasp and try to control so much. My kundalini process has a way of delivering me (in perfect timing) to the ideas, concepts and people who are helpful for what I am going through. Right now, during my delicious summer reading spurt, I've been brought to the works of three wonderful authors: Paul Selig, Michael Singer and Tosha Silver. Their work is helping me to go where my kundalini seems to want to take me --- learning more about the art of trust and surrender. Actually You ARE Accomplishing A LOT! Hannah Sanford: New Visual Coach Grad From Maryland, U.S.A.
How I Did It And How You Can Too!